When someone gets to know you, the first thing they notice is how deeply you think and feel. You are calm, reflective, and mature. However, you sometimes seem spacey to those trying to charm you. And unlike what your color might suggest, you are never really down or "blue" - even after a break up. Your heart is thoughtful and rational. You don't let your emotions rule you. It's your head that falls in love. What Does Your Lucky Love Color Tell Men? While waiting for my love to come online i take this blog thingy. Will, some are true but i dont beleive that i dont feel down after the break-up. ohh i always get hurt. anyway how are you people...yours truly here is sick. The highest users of credit cards are in the US and this is the reason why bad credit consumer is the United States are higher than some countries. We all know that if you have a bad credit history most likely you will have a problem finding lending company that will trust you. If you’re one of those people in the US that has a bad credit history I suggest you to visit badcreditoffers.com. Badcreditofficer.com is a new resources for people with bad credit. They help those with bad credit rating to re-establish their credit history and financial status. Now you can have a new credit card and since you are just starting again to rebuild your credit history it is best that you get the credit card that offer lowest interest rate and easy way of payment. You can see lot of credit cards choices at badcerditofficers.com this will help you restore a positive credit rating. They also offer mortgages loans in a lowest interest rate. Hurry come and visit their site for more information, you can also refer them to your friends who has a bad credit history. Time to give your self a break from hectic work schedule and a grand vacation stay in Australia is a nice idea. The first thing to do when planning to have a vacation is to look for a cheap accommodation and Australia has a great deal accommodation. 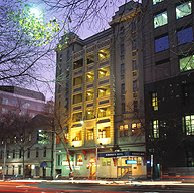 If you wish to stay in Sydney, you can then stay at Sydney CBD Hotels. At Sydney they have apartments that have an excellent value compared to some hotels, and also good for those who want to have more room and private facilities for guest or family. Banking is Australia is more competent than other countries. You can actually see atm’s machine all over the place. You can find them at petrol stations, supermarkets, shops, street corner and made this convenient to those vacationers and travelers. Accepted atm’s are card that carry cirrus, plus or a star. Credit card accepted are American Express Bankcard, Carte Blanche, Diners Club, MasterCard, Visa and their affiliate. Isn’t this offer a good offer to stay in Australia?